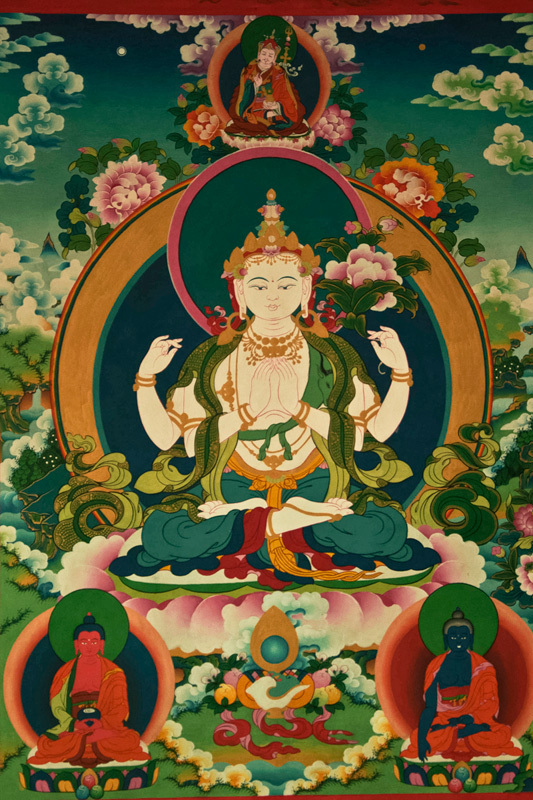 Thangka painting is mainly used for decorating the house and also for worshipping. Five years training is given to the artisan for learning the painting. The living art is transferable from the teacher to students. 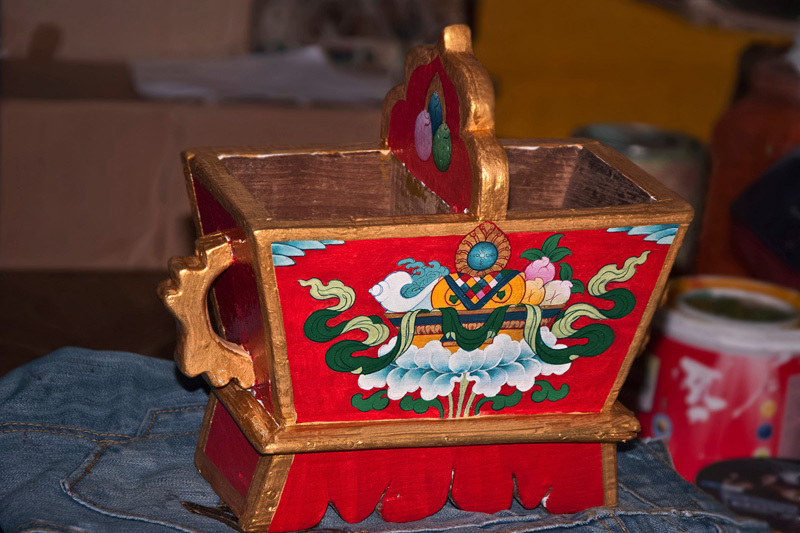 Skilled and proficiency artisans are involved in making this art. 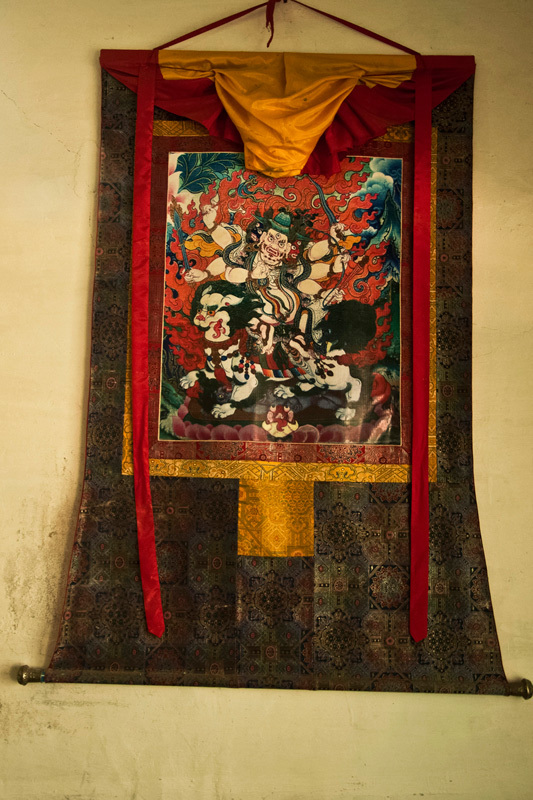 Small thangka paintings are used as wall hanging in house. 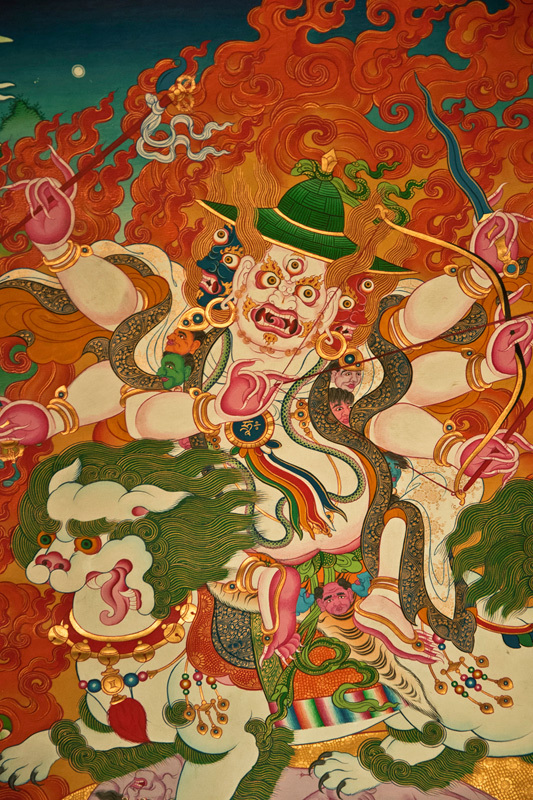 Big Thangka Painting is painted with many different colors with very intense detailing. 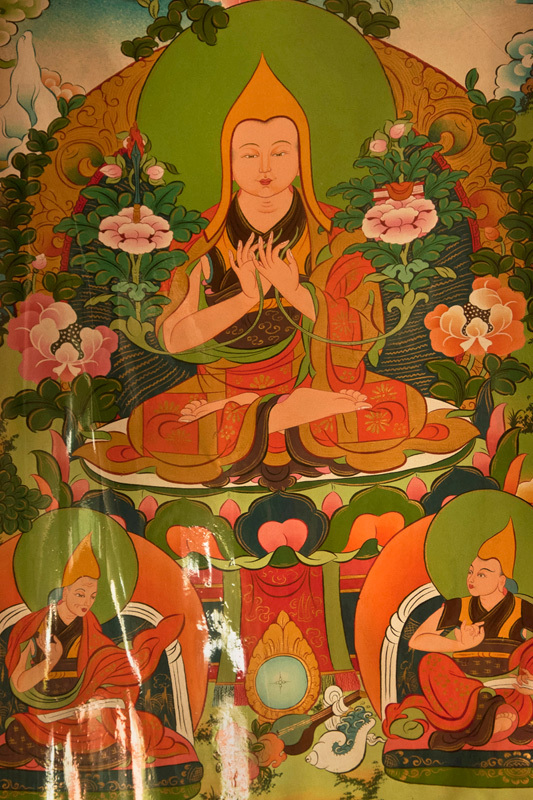 These big paintings have embellished the walls of the Golden Buddhist Temple at the Tibetan Settlement in Bylakuppe. 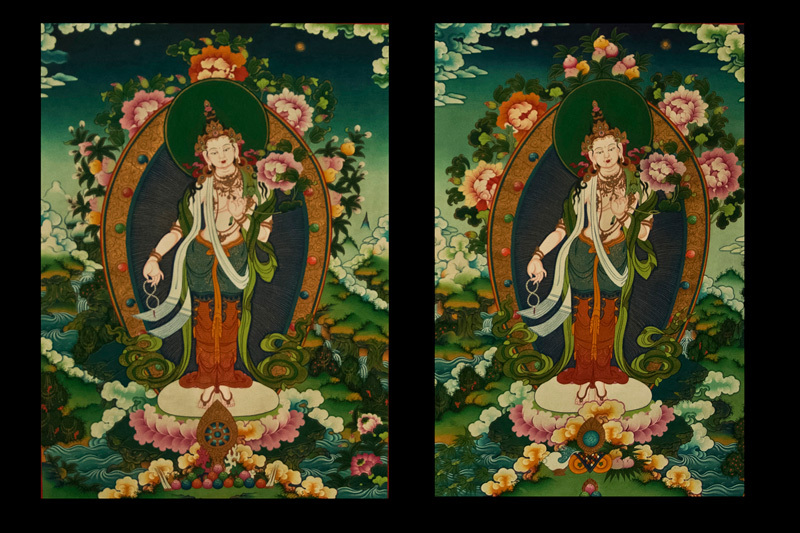 Cost of Thangka paintings varies from Rs. 15,000/- to 3 lakhs. It takes 20 days to complete a small painting and a month for bigger one. 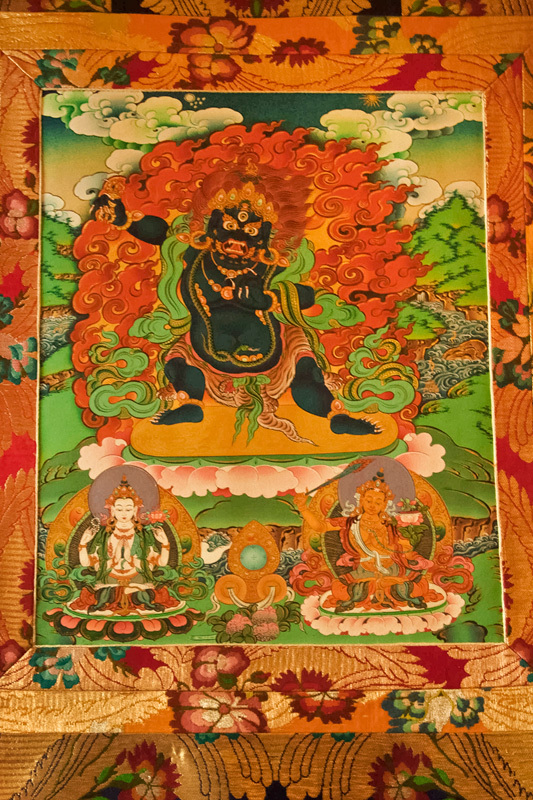 Sizes vary from 6x3 ft., 4x3 ft. (LxW), half imperial and full imperial are the preferred sizes for Thangka paintings.